It’s no secret that cooking isn’t one of my fortes. I love to eat food from around the world, but if you were to ask me to recreate any of my favourite dishes, I’d probably do a terrible job. 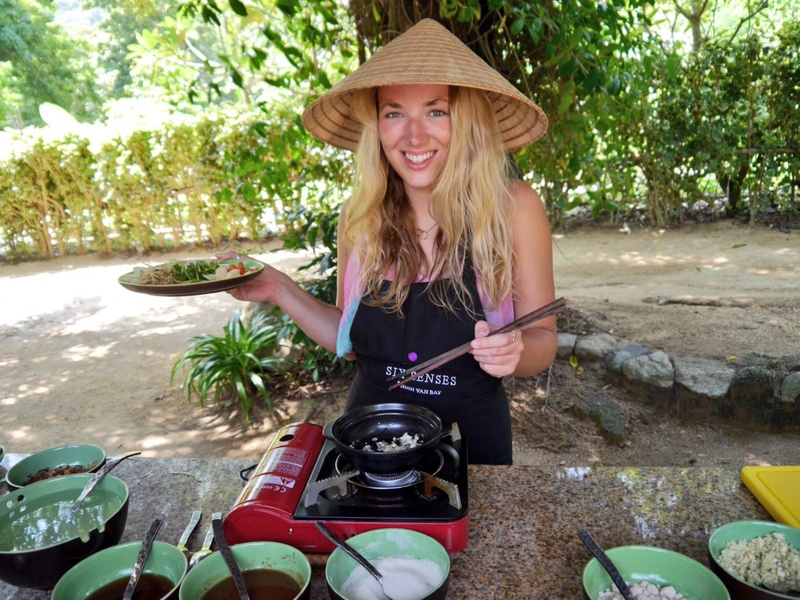 Before we went to Vietnam so many friends told me ‘you must do a Vietnamese cooking class, especially if you go to Hoi An!’. I nodded along and pretended to look vaguely inspired but deep down I knew it wouldn’t be at the top of my list. 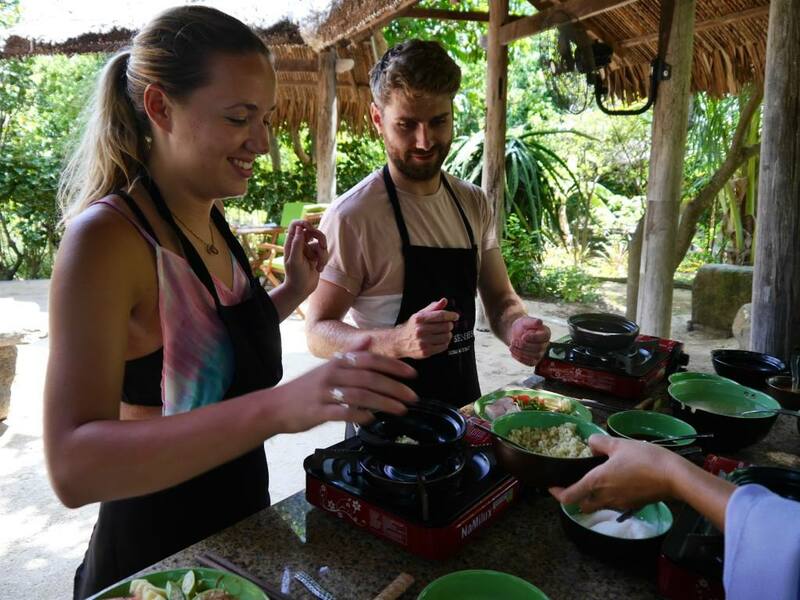 We went to Hoi An and feasted on the best Vietnamese food of the trip, but as I suspected, the cooking class didn’t get a look in. We said goodbye to pretty Hoi An and moved on to our next destination; Six Senses Ninh Van Bay. 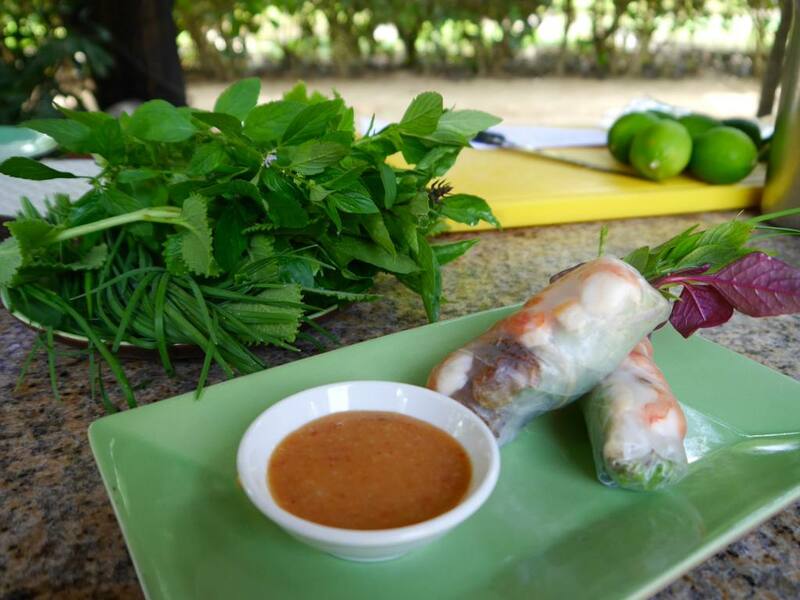 I thought the cooking class ship had sailed, until we were invited by Kuoni to take part in a private Vietnamese Cookery Class for two. Despite my disregard to the idea before, we decided to accept and go along for the experience. What’s the worst that could happen? 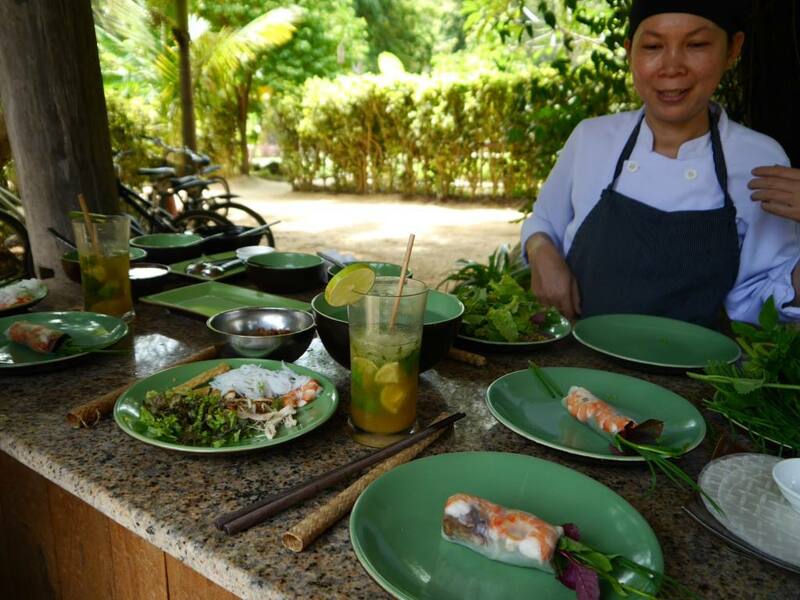 We arrived in the Organic Garden and were met by Nguyen Thi Hanh, the resort’s Junior Sous Chef. 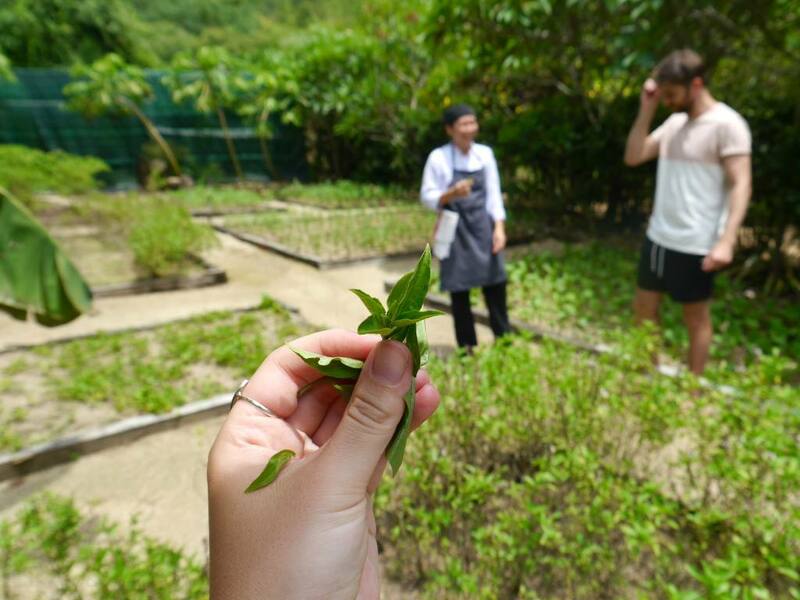 Nguyen Thi Hanh gave us a tour of the organic garden, talking us through all of the Asian herbs, spices and fruits that are typical in Vietnamese cooking. The herbs smelt so fragrant and reminded me of the aromatic dishes I had been feasting on in the weeks prior. 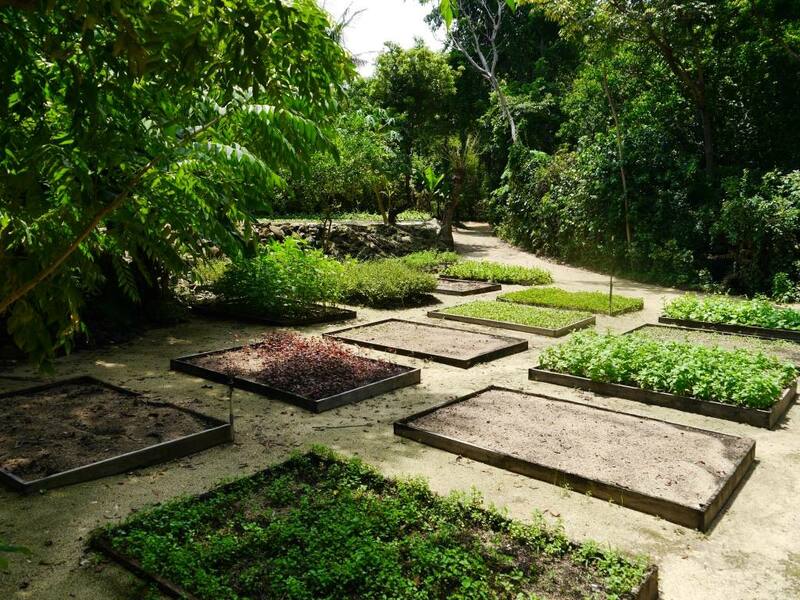 Smelling the herbs made me realise how much of an important part herbs play in perfecting the local dishes. 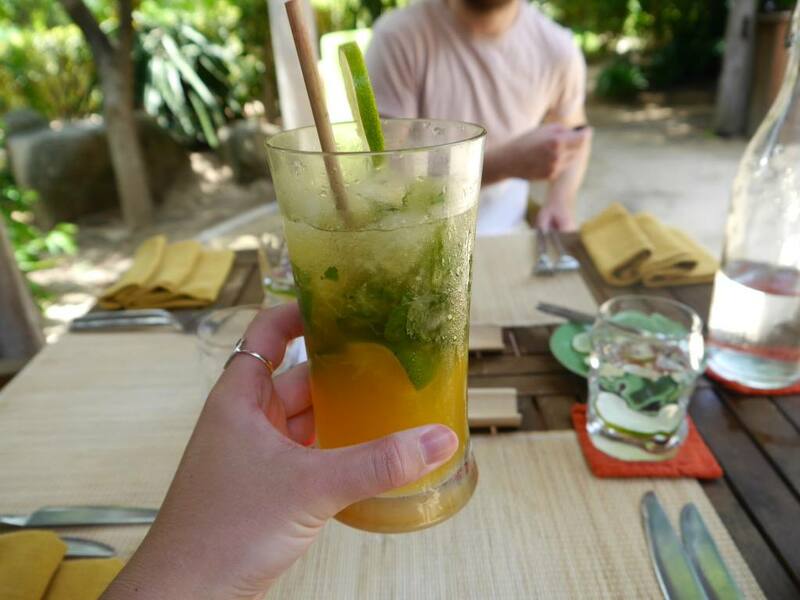 With a refreshing passion fruit mojito in-hand, it was time to get started on the first dish. The cooking station had been set up before hand, with all of the ingredients in convenient pre-prepared bowls (this made everything a lot easier). 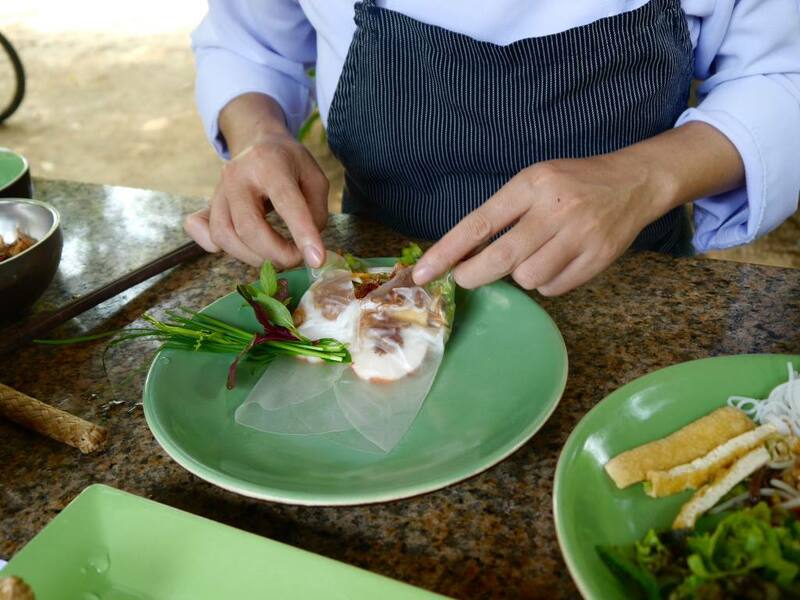 Nguyen Thi Hanh demonstrated how to build the filling and roll the rice paper to make the perfect hand roll. After a few attempts, we got the hang of the technique and made 3 rolls each. Taste Test: After each course we sat down at a table to sample the dish we had just made. I wasn’t sure if I would like the hand rolls as I usually like my meat to be hot, but the combination of flavours was absolutely delicious and the crunch of the vegetables and herbs made it taste so fresh. 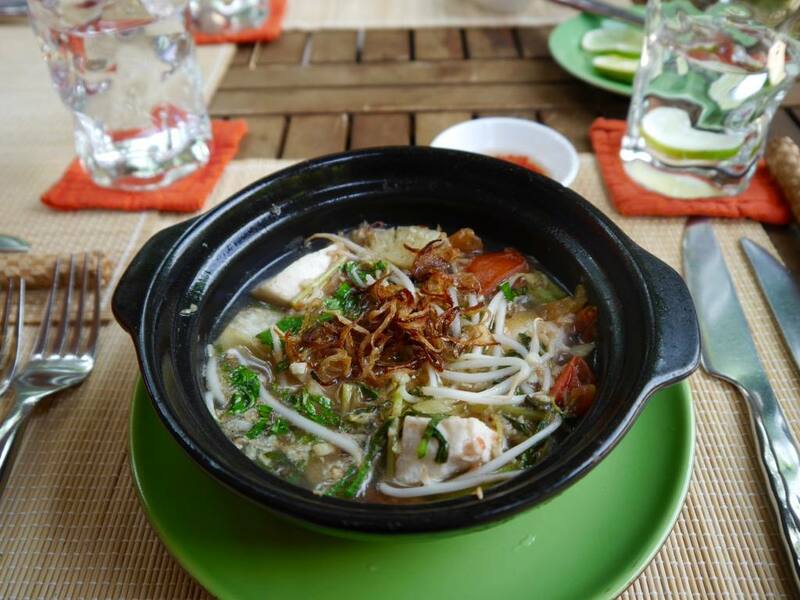 This typical Vietnamese dish started with a flavoursome fish stock before adding chunks of pineapple, tomato, okra and chilli. Once the soup was bubbling away we threw in the fish, which slowly cooked within the sauce. The pineapple gave it a delicious sweetness and adding all the ingredients myself helped me to understand where all the different flavours come from. This was our main course dish, which also featured mixed seafood. 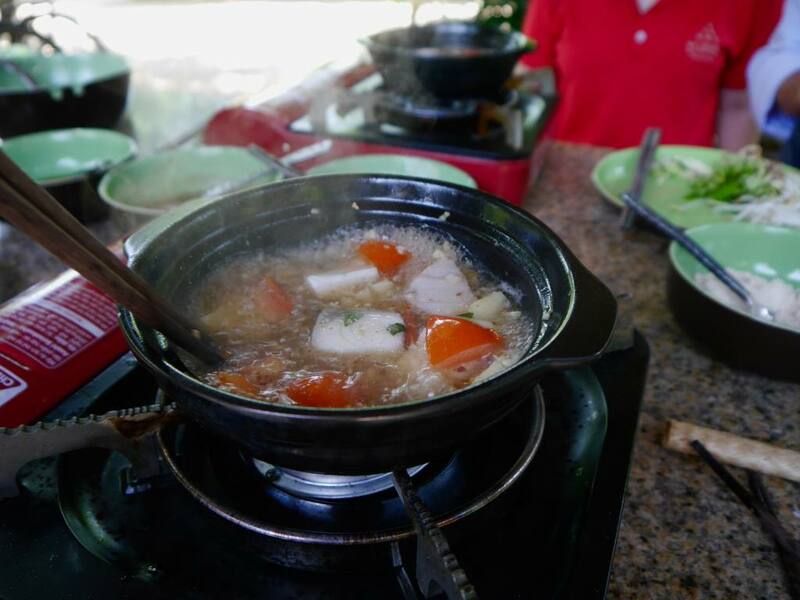 As with the soup, this dish started with a magic combination of base ingredients including shallots, fish sauce, chilli and caramelised sugar. As the clay-pot simmered away, more flavours emerged. Taste Test: By the final dish I was incredibly full but had just enough room to sample a bit of everything in the bowl. 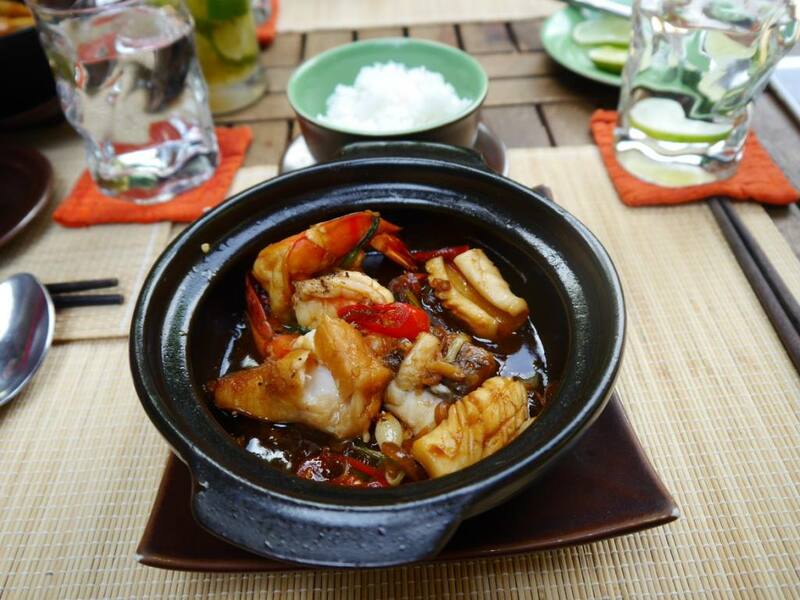 As it was our main dish, the simmered seafood was served with a bowl of rice, which soaked up the sauce beautifully. 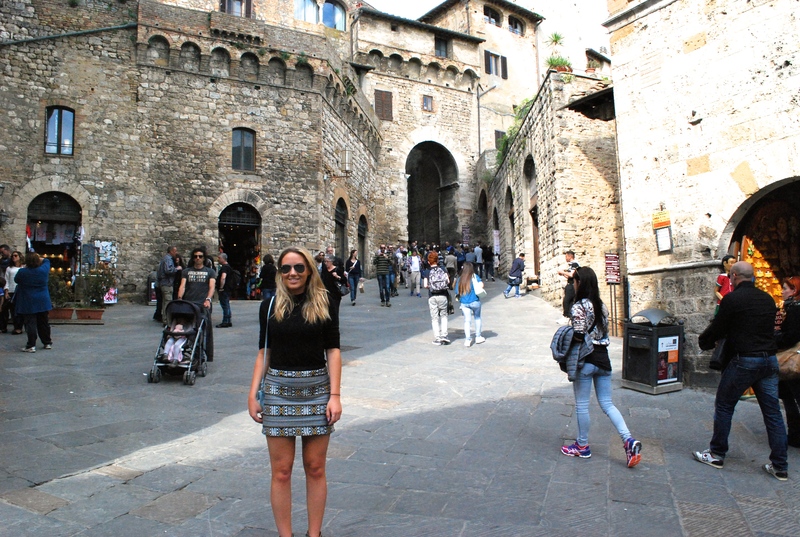 Firstly, I couldn’t believe how much I enjoyed the whole experience. Tasting the food was so much more satisfying than eating at a restaurant, as I had see each delicious course come together from the raw ingredients (with such exotic dishes, I usually never see this process). I was fascinated by the finesse and skill of our chef and how she knew exactly what was missing when she tested our dishes. Eating the dishes in between each demonstration made the whole thing feel like a unique dining experience and ironically, it turned out to be the highlight of my stay at Six Senses Ninh Van Bay. So is this the start of a long and fruitful cookery career for The Travelista? Perhaps not. But Scott and I are planning to host a Vietnamese dinner party for our friends, where we will recreate every dish listed above. I can’t wait to give it a go and crack out our new Vietnamese chopstick set! Wow, my mouth is watering reading this. Looks amazing! Vietnam is on my list. 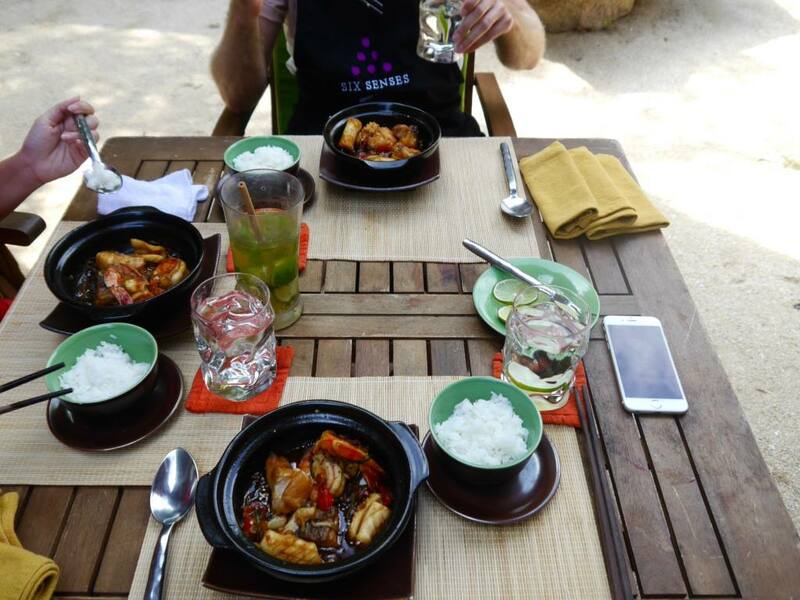 This looks like a great foodie experience, thanks for sharing! Wonderful post! Thank you for leaving the recipe link. I am going to have a go at those hand rolls. Beverley.